There are so many wonderful restaurants in Carpinteria, and not enough time to try them all...until NOW! 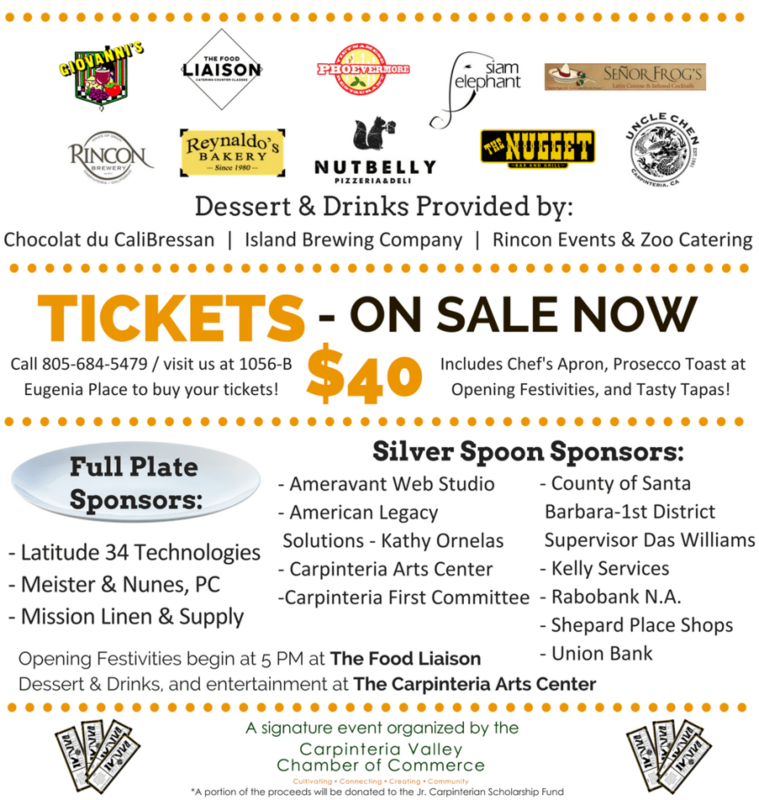 Join us for the Carpinteria Valley Chamber's inaugural Culinary Crawl! Walk through town and get a taste of 10+ unique local restaurants, wearing your commemorative Culinary Crawl Apron! Opening ceremonies will begin at 5PM at The Food Liaison. Click HERE or the image below to purchase your tickets!